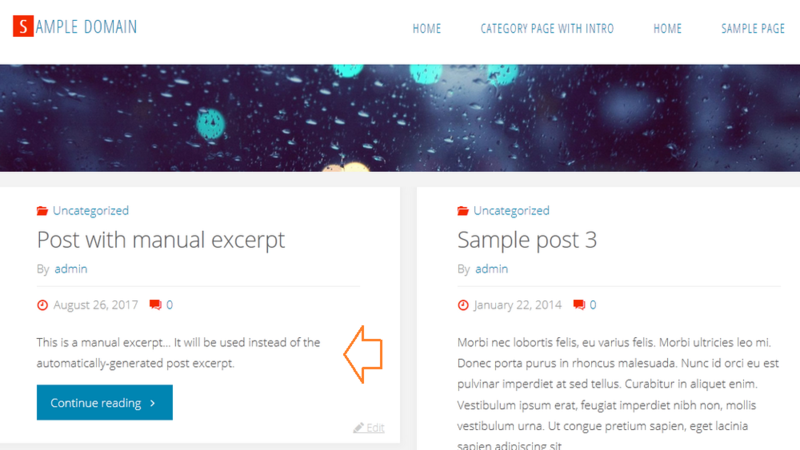 In themes that support and implement it, WordPress automatically generates excerpts out of the posts’ content. These excerpts are short introductory texts lacking any kind of formatting (HTML markup) or complex structure. 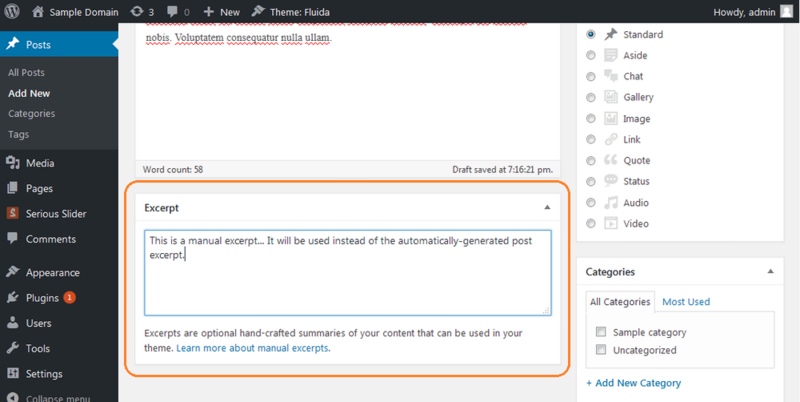 However, WordPress also implements a partially hidden feature which we call manual excerpts. They give you the ability to manually type in the short introductory text that will be publicly displayed instead of the auto-generated ones. In here the desired excerpt text or even HTML markup can be typed in. There’s no rich editor so you’ll have to manage the markup by hand. The content entered will be displayed as-is, without any additional processing or filtering, on the frontend of the site – so be wary of markup errors. Make sure to close all HTML tags that you open. Is it possible to have excerpt text justified, and post text aligned left?